Vital presents: AUDIBLE ASSAULT ft. 12th Planet, Kill the Noise and more! As Summer hits shows do as well. After Wobbeland the Bay Area has yet to have a event as good as Wobbleland until now. Vital SC has been providing the Bay Area EDM scene with amazing events for some time, and they don't slow down with Audible Assault. 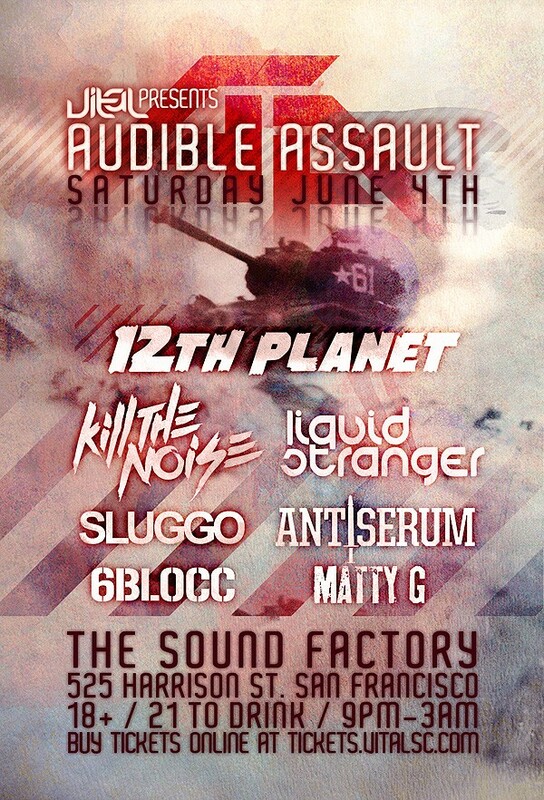 At The Factory this Saturday our ears will be amazed by the sounds of 12th Planet, Kill the Noise and many more. If you know the Vital crew as well as I do you know its quite the party, great DJ's, chill and beautiful people, great prices, and not to mention the lovely Vital Girls. 21 to drink 18 to shuffle. I better see you there.